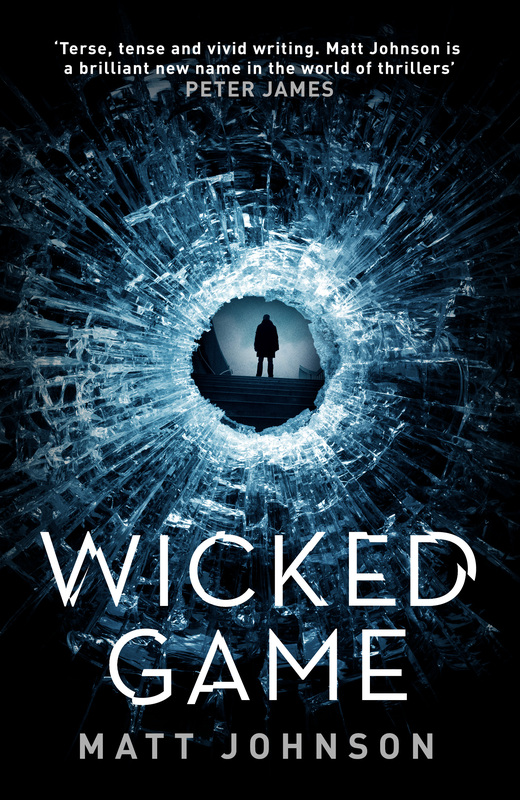 Today I’m delighted to welcome Paul Hardisty to my blog. Paul is the author of the fantastic thriller The Abrupt Physics of Dying, and has just published a follow-up, The Evolution of Fear . Paul has very kindly answered some questions for me. Over to Paul. 1. Claymore Straker is a wonderfully complex character. How did you come up with the inspiration for him? Over the past 30 years I have been lucky to work all over the word, and much of that has been in some pretty remote places. Perhaps because of the nature of my work – water and environmental engineering, often associated with severe problems of pollution, over-extraction, and resource exploitation – many of those places have been characterised by corruption and conflict. Sometimes that conflict has been local, and has been played out through peaceful community protest, but all too often that conflict has led to violence, and in some cases (as depicted in The Abrupt Physics of Dying), full blown civil war. 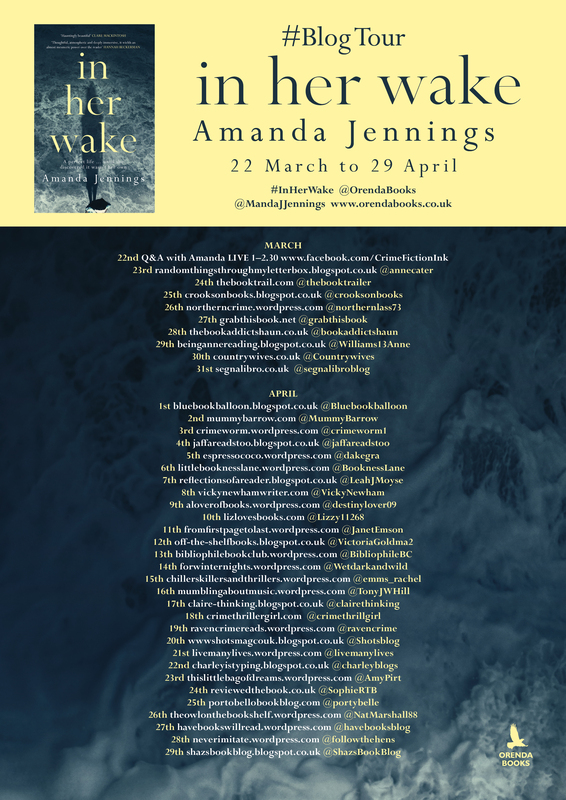 Working and living in these places, sometimes completely isolated and often alone, these experiences have shaped me more than I probably realise, and it is only through my writing that I have come to realise just how much. Claymore Straker is, then, a character born of conflict. His life is punctuated by three significant but little know civil wars: in Yemen in 1994 (The Abrupt Physics of Dying), in Cyprus (The Evolution of Fear), and as a young man, on the front lines of the Apartheid-era Border War in Angola (1980’s) – the subject of the upcoming prequel, tentatively entitled Reconciliation for the Dead, out in 2017. These are all places that I know well, and in the case of Yemen and Cyprus, conflicts of which I have had first-hand experience. 2. In The Evolution of Fear I learned a *lot* about boats especially during one particularly tense sequence near the start. Clearly you know your stuff – is this experience or just research? I have been sailing all my life, starting when I was a boy and my dad got us a little wooden Sabot dinghy. My godfather was ex Royal Navy and a keen ocean sailor, so I learned as a boy and a teenager sailing with him on the West Coast of Canada. When we were first married, my wife and I had a 27 foot Folkboat which we sailed all over the West Coast. I’m not a racer, more a cruiser – I like exploring, getting places. There is something hugely satisfying about getting yourself somewhere using the winds and the tides and currents, about finding that little island and the perfect anchorage. Over the years I’ve also read some great books by ocean voyagers such as Joshua Slocum, and those tales have stuck with me. So no research for this, pretty much just wrote it from what I know. 3. There’s a lot of globe-trotting in the book. How do you choose where your characters end up? I basically use places I know well, places I’ve worked in or lived in, or spent enough time in to know really well. In The Evolution of Fear, the action starts in Cornwall – a place I love. We lived in the West Country for three years, and did a lot of walking in the countryside. The north coast is so wild, it was the perfect place for the safehouse Clay is hiding in at the start of the book. When I was working in Eastern Turkey in the 1980’s I used to spend all my spare time in Istanbul. I always stayed at the Pera Palas hotel, and loved everything about that amazing city. Given the storyline in the book, it was a perfect place to set some of the key events. And finally, Cyprus, a place I lived for almost a decade, a most beguiling island. I love bringing a place alive on the page, allowing the reader to feel as if he or she is right there, seeing it, hearing its sounds, smelling its aromas, feeling its winds and changes. exploration of theme, hanging all of that onto the structure, like muscle on the bones. I need to find more time to write, so I’m in the midst of changing my life a bit, trying to move away from the science and engineering a little, to free up more time. Problem is, when you work in the environmental area, there is so much work to do that it could take up your whole lifetime and more. 5. How was your book launch? It was fantastic. Goldsboro Books in London hosted and did a great job. My fabulous publisher Karen Sullivan of Orenda Books made amazing cupcakes with edible book cover toppings, and old friends I hadn’t seen in years made the journey into London to attend. Just wished Heidi, my wife of 28 years, could’ve been there too. I wish I could have made it too! Thanks Paul. The Evolution of Fear is published by Orenda Books and is available in paperback and ebook now. Don’t forget to read The Abrupt Physics of Dying first! A chilling, timeless story of love, revenge and desire, We Shall Inherit the Wind deftly weaves contemporary issues with a stunning plot that will leave you gripped to the final page. This is Staalesen at his most thrilling, thoughtprovoking best. 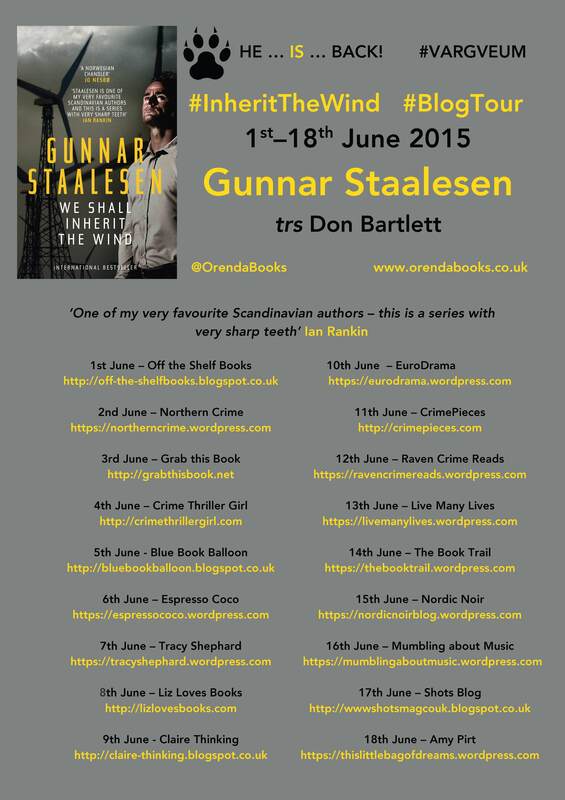 I’ve been on a bit of a Nordic Noir kick recently thanks to Karen at Orenda Books, and when I was asked if I’d like to take part in the blog tour for Gunnar Staalesen’s We Shall Inherit the Wind, I jumped at the chance. 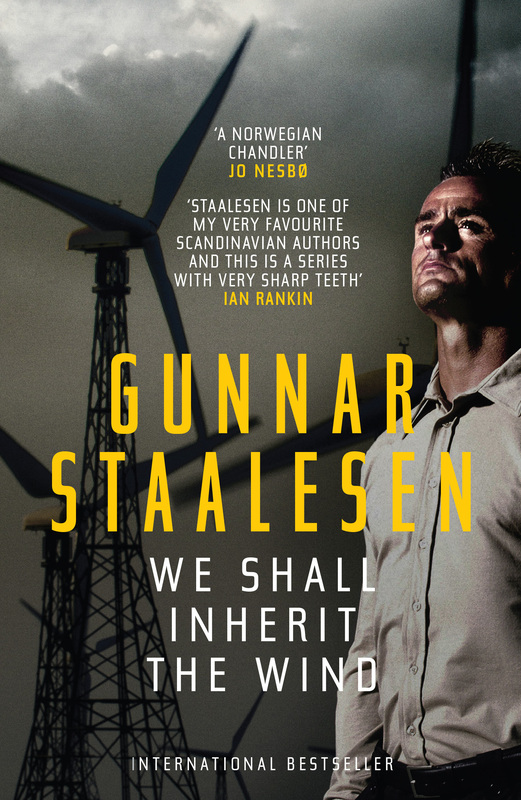 This is the first of Staalesen’s books that I’ve read, though it appears he’s somewhat better known in Norway – he’s written over 20 titles which have been published in 24 countries, and he’s sold over four million copies. There have been twelve film adaptations of his Varg Veum crime novels. I’ll have to track them down! The story starts, as it were, at the end. Varg Veum is at his girlfriend’s bedside. Something terrible has happened and we’re about to find out what. We jump back into a missing person case where Varg has been called in to investigate the whereabouts of Mons Maeland. by his wife. The story unfolds like an origami rose, slowly unveiling more and more layers as we’re drawn deeper into the mystery. Where is Maeland? 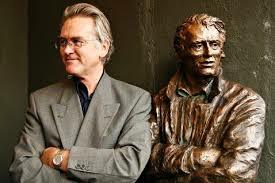 What’s the link between his disappearance and the proposed wind farm over on the small island of Brennøy? The mystery is gradually revealed and, as with all great crime stories, each fresh revelation fills in another facet of the picture. Rumours are confirmed, secrets uncovered and a *lot* of coffee is consumed. I thought that *I* drank a lot of coffee, but one thing I’ve noticed about the nordic crime scene is how much coffee they drink! At heart it’s a story of relationships, and how far people are willing to go to preserve the natural habitat and the consequences of their actions. Families and community are neatly portrayed and dissected by the lone wolf, Varg. Tidbits of information are teased out of people, revealing an unsettling dark side to a lot of the characters. Staalesen has been called the Norwegian Chandler and Veum is your quintessential private investigator. There’s even a life-sized statue of Varg Veum in the centre of Bergen. I loved how his character developed through the course of the story. 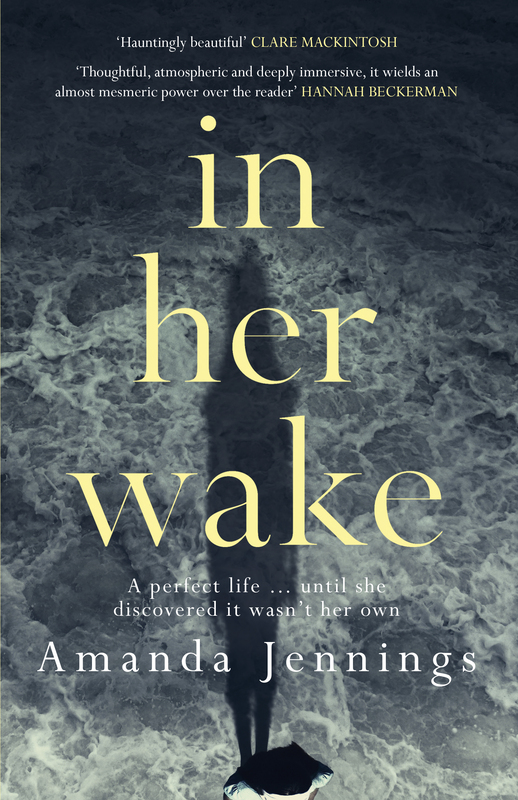 There have been other Varg Veum books but the character is so strong and the story so well crafted that you don’t feel you’re missing out by starting with this book. I’d love to read more and luckily the next instalments in the Varg Veum series – Where Roses Never Die and No One Is So Safe in Danger – will be published by Orenda Books in 2016 and 2017. Sign me up! Many thanks must go to Karen at Orenda Books for my review copy. 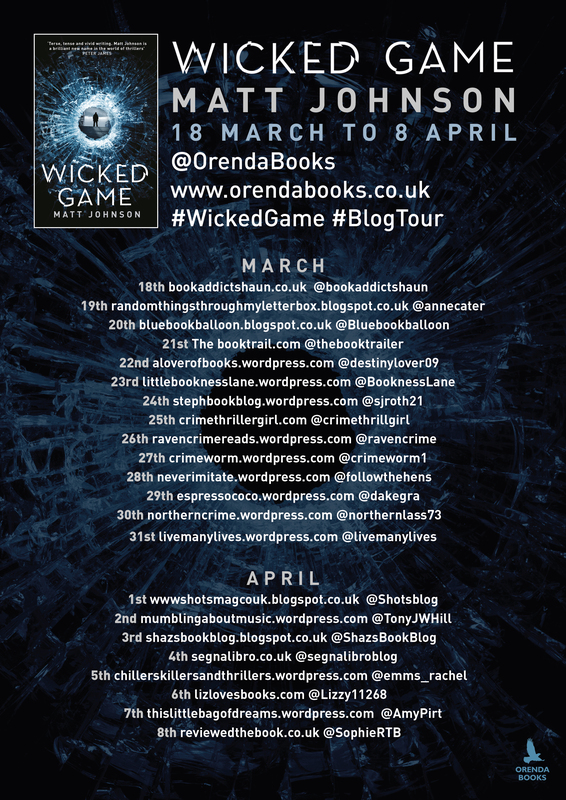 The blog tour continues tomorrow with Tracy Shephard over at Postcard reviews.